Still have a ton of turkey leftovers from Thanksgiving? 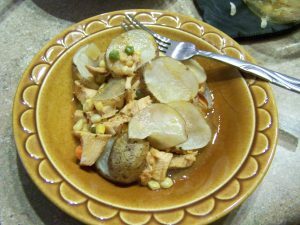 Here is an idea of how to use it to make a whole new meal. Melt 1 Tablespoon butter in a skillet over medium-high heat. Add the onion and cook until softened, about 3-5 minutes. Season with salt and pepper. Stir in the tomato paste and cook for 1 minute. Add the turkey, thyme and stock. Bring to a boil, reduce heat slightly and simmer, about 3 minutes. Sprinkle the flour on top, stir in and cook for 1 minute to let it thicken slightly. Stir in the water and frozen veggies. Pour into a casserole dish and top with the sliced potatoes, overlapping them. Melt the remaining 2 Tablespoons of butter and drizzle on top of the potatoes. 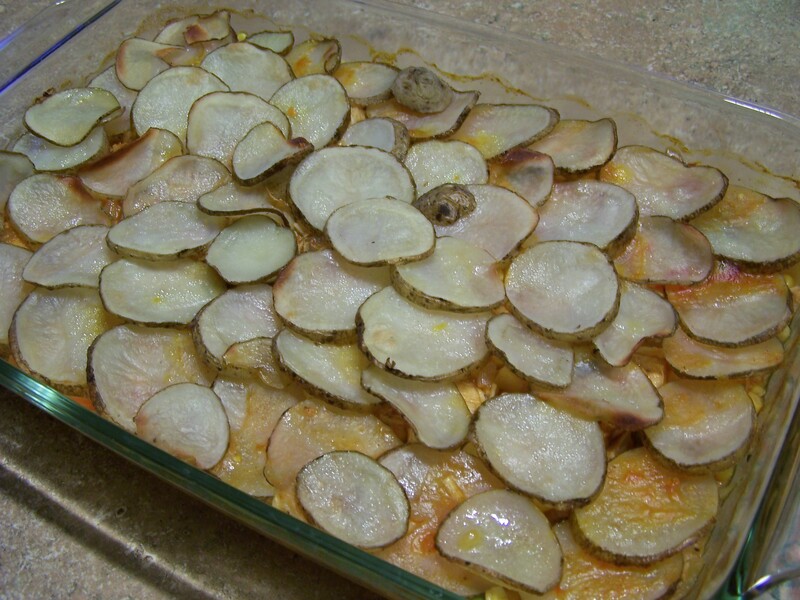 Bake until potatoes are browned, about 40-45 minutes. Let cool for 5-10 minutes before serving.